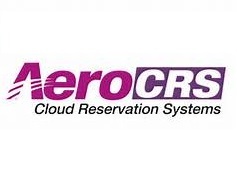 AeroCRS offers a great solution for regional, domestic, low cost and corporate airlines all over the world, providing them with full reservation and inventory management, full class fares and revenue management, B2B & B2C, flight management Departure Control System (DCS), full and flexible reporting center, BI Dashboard and tools, full website with Content Management System (CMS), GDS connectivity, open API for external systems integrations, amazing support and customer service and many more! Comments We have using Aerocrs web based reservation system now for almost 3 years and are very happy with the system. Prior to using Aerocrs we were booking manually and our service was extremely flexible to our clients. This made it difficult for us to find a system that would cater to those needs. Aerocrs worked very closely with us and was able to provide a system that did exactly what we needed and more. We ended up saving money and time, became more efficient and the system is super user friendly. The Aerocrs support team is also super. Germaine Durand , Accountable Manager , Divi Divi Air N.V.